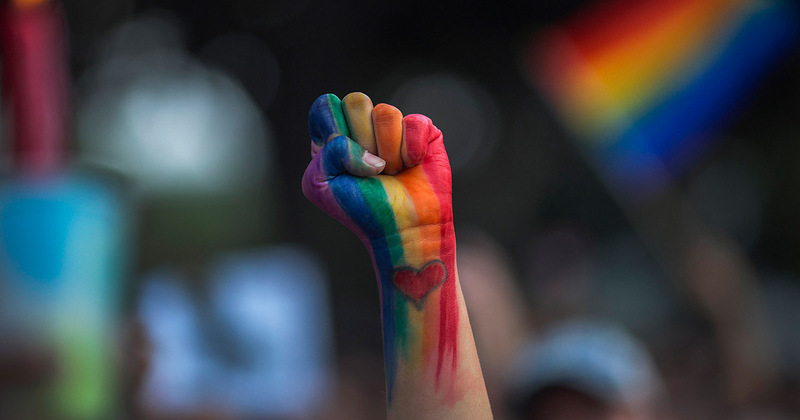 Given that we’re delving into uncertain times when it comes to the rights of minority groups, one State Representative in Philadelphia is attempting to ban conversion therapies in the city, and we’re totally applauding it! Despite the Obama administration publicly speaking out against controversial conversion “therapies” aimed at the LGBTQ community, with former White House senior adviser Valerie Jarrett stating that the administration supports the banning of such practices, the practice is still legal in most states. Conversion therapy is an effort to “reverse” sexual identities through often traumatic and mentally damaging means. What’s more, there is no significant scientific evidence to support that it is indeed effective. Instead, it is often cited as perpetuating the mental distress of many LGBTQ people, who are already more disproportionally likely to be impacted by mental health problems. And while there has been some movement in certain states and cities, like Seattle, which recently banned the “therapy“, the appointment of Mike Pence, who has supported anti-LGBTQ legislation and conversion therapies, as Vice President in the Trump administration has lead some to question what the future holds in terms of banning the practice. However, one State Representative in Philadelphia has set out on a mission to ban conversion therapy in the city. "I don’t know a single LGBT person that hasn’t been touched by conversion therapy in some way or another." Despite his enthusiasm to ban the practice, however, Sims noted that seeking out when conversion therapy was taking place was a difficult task. "Because of how it’s practiced. It’s not a full-time therapist who puts it on their sign that they practice conversion therapy," he said. "They’re known within a community, within a church, within a parish that they’ll help your son or daughter if they’re going through these issues." CBS Philly also points out that Sims’ attempts to ban the controversial “therapy” statewide has previously failed, but that he had said that he felt now was the time to try again. A bill has been introduced in the city council that would outlaw it in the city of Philadelphia. Given that conversion therapy is not only dangerous but also a discredited psychotherapy method, it’s amazing to see people like State Representative Brian Sims standing up agains this inhumane practice in a bid to help rid the country of it. What’s even more incredible is that he’s making a stand at a time where LGBTQ rights and voices are potentially under threat. Hopefully continued resistance to the “therapy” will encourage other states to join the likes of California, New Jersey, New York, Vermont, Oregon, and Illinois, and municipalities, including Seattle, Washington, Cincinnati and Miami Beach. If you or anyone you know needs to talk, you can contact The Trevor Project here or the GLBT National Help Center.